Below you'll find listed dairies, farms, and markets that welcome the public to purchase delicious local, and some organic, farm-to-market products. Listings are under primary products sold. For example, Lavon Farms primarily sells dairy products so they are listed under Raw Milk, but under the listing we mention the other products they sell such as grass-fed beef. Please remember that, due to the nature of farming, not all products are available at all times. Farms are not supermarkets! 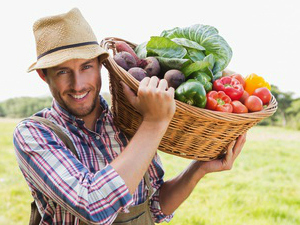 For a comprehensive list of farmers markets within Collin County, please visit our Farmers Markets Page. For a comprehensive list of wineries within Collin County, please visit our Wineries Page. 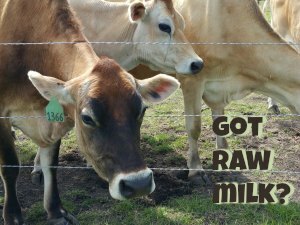 Raw milk is easy to find on the eastern side of Collin County. With it's many purported health benefits, people are looking to buy raw milk directly from a local dairy farm. Raw goat and cow milk on this farm along with keiffer, buttermilk, fresh eggs, goat milk soap, jam, and jelly. Typically open Wednesday, 10-6, Saturday, 9-2, but call first so they don't miss you! Raw Guernsey & Jersey milk from primarily grass-fed cows is sold from their farm in Plano. Also available for purchase are drinkable yogurt, cheese, butter and caramel milk sold under the Lucky Layla brand. (The yogurt is also available at Whole Foods and Sam's Club.) View their Lucky Layla website for additional details on their dairy products. The store in Plano now sells grass-fed beef. Sadly, this location closed April 2017.